A beautiful smile starts with healthy gums. Dr. Cram's goal as a periodontist is to maintain the health of your gums, the integrity of the supporting structures and so keep your teeth for a lifetime. A smile is said to be ‘gummy’ if a significant amount of upper gingival tissue (gum tissue) is exposed when laughing or smiling. This gives the effect of the upper teeth being too short, and can make you feel self-conscious. Ideally your smile should reveal very little gum, and visible tissue should look balanced and even in contrast with your upper lip. 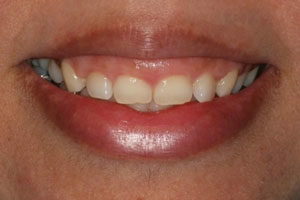 Your smile will depend on the shape of your teeth and their size, as well as the shape and size of your lips. 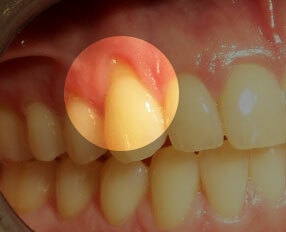 Fortunately, a gummy smile is something that can oftentimes be corrected through cosmetic periodontal treatment. 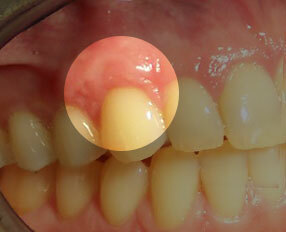 Do you have roots exposed by gum recession? Gum recession can expose tooth roots and show more of your teeth than normal. Longer looking teeth and exposed tooth roots give an "old" appearance to your smile and can be painfully sensitive. Some people cover their mouths when they smile for this very reason. Dental implants are regarded as the preferred approach for replacement of missing teeth as they preserve bone structure and allow you to function comfortably and effectively.